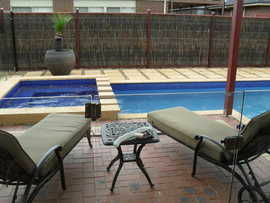 Brush fencing is ideal for pool fencing .It is council compliant and can make any area private. 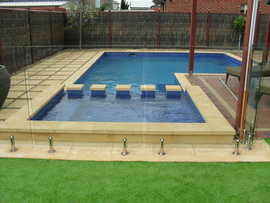 It also enhances any landscape and water feature. Brush fencing absorbs noise, is maintenance free and impervious to white ants/termites. Brush fencing is also widely sought after by developers and designers looking for that unique product that will guarantee sales and beautify any area. Brush fencing can be attached to chain mesh or an old paling fence to instantly give the area a new lease on life! 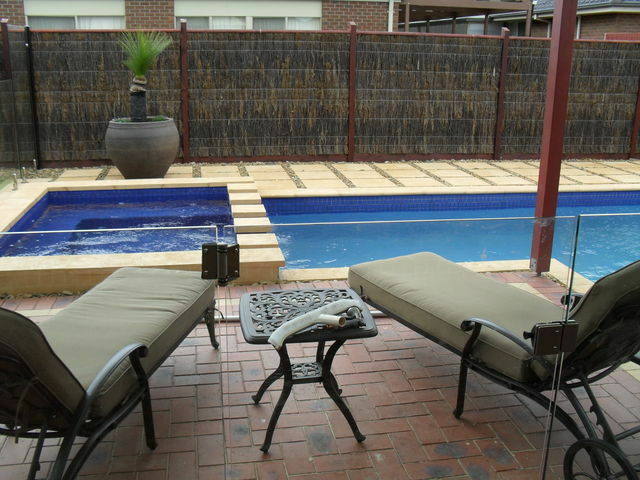 Brush Fencing & Gate Co Melbourne has been building quality Brush Fences in Melbourne for over 20 years. Our fences are constructed using Australian made products. Generally, fences built by Brush Fencing & Gate Co consist of a galvanized steel framework, set in concrete footings with a brush roll top capping to finish the job off. This traditional method of brush fence construction has many benefits; namely being longevity (we all know that the thing that destroys any fence are the posts rotting below ground level) Galvanized posts will outlast timber in most cases, leaving you with a beautiful fence for a lot longer. Secondly and possibly just as importantly, a brush fence built by Brush Fencing & Gate Co on a galvanized steel frame has the benefit of 2 good sides. No disputes between neighbors on who gets the frame on their side. That's right! The frame gets concealed inside! Brush Fencing & Gate Co also know that people often have their own specialty designs & individual needs. At Brush Fencing & Gate Co our committed and dedicated team pride themselves on being able to satisfy the most challenging of designs. At Brush Fencing & Gate Co our motto is: ?It's not hard, it's a challenge.? Look to our gallery of photos to see an array of differing styles of brush fencing.